Tom Lee is an Arts Educator with 25 years experience in the Language Arts and Social Studies Classroom. Tom conducts Arts Education program for The Yale Center for British Art, The Metropolitan Museum of Art, The New Britain Museum of American Art, The University of Pennsylvania Museum, and The Metropolitan Opera. In 2014, Tom Lee was a featured artist at thye National Storytelling Festival and performed as Storyteller-in-Residence for The Mark Twain House in Hartford, CT. Tom is a Community Partner at R. J. Kinsella Magnet School of the Arts in Hartford, CT. 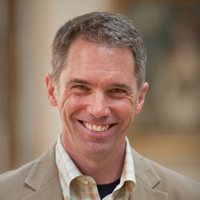 He is also a roster artist with The Connecticut Commision on Culture and with Young Audiences Arts For Learning Connecticut.